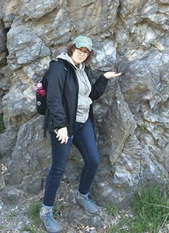 Interests: Oil and gas, analyzing geophysical data, geo-puns. 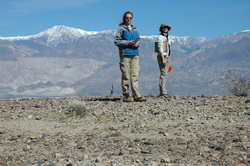 "Don't expect perfection from geophysicist/geologist; they all have their faults"
Soaking in the Panamint Valley. Measuring some sweet chert folds, Marin Headlands. 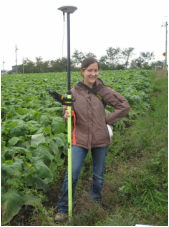 Surveying fluvial terraces and radish fields in northern Honshu, Japan. Standing on a fault scarp, Panamint Shark for scale.